Lasers used for LASIK, PRK and other forms of laser refractive surgery are under the purview of the FDA; however, LASIK critics have long accused the FDA's Division of Ophthalmic Devices of being little more than a regulatory pawn of the LASIK industry. The FDA relied on short-term clinical trials of small patient populations conducted by financially-biased eye surgeons in its approval of LASIK. Long-term adverse effects of LASIK have since come to light. Former FDA chief of ophthalmic devices, Morris Waxler, Ph.D., says the agency caved to pressure from the ophthalmology medical cartel and is calling for FDA-approval of LASIK to be withdrawn. Preliminary results of the long-awaited LASIK Quality of Life Study have been published on the FDA website. On October 19, 2014, FDA official, Malvina Eydelman, M.D., summarized the study findings saying, "Given the large number of patients undergoing LASIK annually, dissatisfaction and disabling symptoms may occur in a significant number of patients." • 45% of subjects who were symptom-free before LASIK reported visual symptoms (halos, starbursts, glare, and ghosting) after LASIK. • Visual symptoms were "very" or "extremely" bothersome in up to 4% of subjects. • Up to 1% of subjects experienced a lot of difficulty with or were unable to do usual activities due to visual symptoms. • Up to 30% of subjects with no symptoms of dry eyes before LASIK developed dry eye symptoms after LASIK. • Up to 4% of subjects were dissatisfied with their vision. Source: FDA slide presentation. Read more on LasikNewsWire and FDALasikStudy. Important message for PROWL study participants. From the article: The Food and Drug Administration should stop permitting thousands of medical devices to be marketed and used in patients without proof of safety or effectiveness, the National Academy of Sciences said Friday... In its report released Friday, the Institute of Medicine, an arm of the National Academy of Sciences, recommended that the system be abolished and new procedures established. A webinar on ODwire.org with Morris Waxler, Ph.D., FDA's chief scientist in charge of the clinical trials research for LASIK. In this webinar, Dr. Waxler will discuss the impact that LASIK has on healthy corneas, and evaluate the latest research into the safety of the procedure. Dr. Waxler will also propose a public health advisory on LASIK. Prominent LASIK surgeon, Helen Wu, of New England Eye Center and Tufts Medical Center failed to "develop, maintain, and implement written MDR (medical device reporting) procedures as required by 21 CFR 803.17" according to a warning letter issued by the Food and Drug Administration following an inspection of the Boston LASIK facility. LASIK critics have long accused the LASIK industry and LASIK surgeons of a widespread coverup of problems related to the LASIK procedure. FDAWeb.com editor criticizes FDA regulation of LASIK devices and its relationship with the American Society of Cataract and Refractive Surgery (ASCRS), and criticizes FDA's decision to collaborate with Department of Defense (Navy) in LASIK study. Morris Waxler, PhD, former head of the FDA branch responsible for reviewing data on LASIK, writes to LASIK patient advocate regarding FDA's failure to regulate LASIK devices. From the article: When it first approved laser devices for LASIK indications in 1998, CDRH "screwed up" in not establishing a standard for acceptable adverse events reported from clinical studies, former branch chief for diagnostic and surgical devices Morris Waxler told FDA Webview in a teleconference interview 9/3... "I think we screwed up," Waxler said of the 1998 approvals. "Nobody's going to admit that. Basically, I think people made some of those judgments incorrectly. We were getting advice from very renowned ophthalmologists -- more renowned than anyone we had in the agency. From the article: Patient dissatisfaction with the adverse after-effects of LASIK surgery reached a critical tipping point at [FDA] CDRH in 2009. Complaints include permanent quality of life issues like dry eye, night vision disturbances that prohibit driving, emotional depression, and unemployment. Patients have also criticized CDRH for collaborating with an ophthalmologists’ organization in dealing with these issues. A potent Internet network of injured LASIK patients bombarded the agency with criticisms, petitions, and complaints until CDRH sent a letter in May to eye care professionals informing them about proper advertising and promotion practices related to the procedure. The agency acknowledged that eye care professionals’ advertisements for LASIK procedures failed to inform consumers of the indications, limitations, and risks associated with the procedure. Visual symptoms after LASIK, such as night vision problems, halos, and starbursts have been swept under the rug by the LASIK industry. Recently the FDA emphasized that visual symptoms may be serious, and reminded the LASIK industry that federal law requires they be reported to the FDA. "An example of a serious injury is a patient who experiences persistent visual symptoms after a LASIK procedure such that the eye care provider reasonably concludes that the patient has suffered permanent visual impairment or permanent eye damage attributed to use of the laser during the LASIK procedure." From the press release: The goal of the LASIK Quality of Life Collaboration Project is to determine the percentage of patients with significant quality of life problems after LASIK surgery and identify predictors of these problems... The FDA also announced that it issued warning letters to 17 LASIK ambulatory surgical centers after inspections revealed inadequate adverse event reporting systems at all the centers. 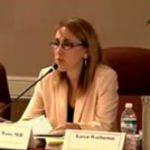 Reprinted with permission from fdaweb.com: Injured LASIK patient and activist Paula Cofer was skeptical about FDA's quality-of-life study with the Defense Department. In a comment to FDA Webview, she said: "In my opinion, the Department of Defense has demonstrated bias in favor of LASIK. For example, Dr. Steven Schallhorn who directed the largest refractive surgery program within the Department of Defense until his recent retirement, is a paid medical malpractice defense expert witness, has made public statements and published literature denying connection between a poor LASIK outcome and diminished quality of life, and is currently medical director of one of the largest corporate providers of LASIK in the world. From the article: LASIK Surgery Watch says it disputes most of FDA's response to FDA Webview in our publication of an interview with former FDA Division of Ophthalmic Devices Diagnostic and Surgical Devices Branch chief Morris Waxler, who said that FDA was mistaken in approving excimer lasers for LASIK during his tenure (see story). In a 9/13 letter to CDRH acting director Jeffrey Shuren and other FDA and HHS officials and members of Congress, LASIK Surgery Watch says that FDA caveats that its guidance documents only provide guidance "in no way exonerate [it] for approving excimer laser devices for LASIK, a procedure with complications in excess of 20%." From the article: The Food and Drug Administration's top medical-device regulator said Tuesday he is resigning. The departure follows internal dissent over device-approval decisions that the regulator's critics said were too friendly to industry. Daniel Schultz said his move comes "by mutual agreement" with FDA Commissioner Margaret Hamburg, who took office in May. From the petition: The petitioner requests the Commissioner of Food and Drugs inspect LASIK clinics to ensure compliance with 21 CFR 803, Subpart C User Facility Reporting Requirements. Part 803 requires medical device user facilities to (1) establish written MDR procedures, (2) report adverse events to the manufacturer or to the FDA, and (3) submit annual reports to the FDA. Further, the petitioner requests the Commissioner of Food and Drugs impose sanctions on non-compliant LASIK clinics as authorized under 21 USC 331 – 337. The regulation authorizes sanctions ranging from warning letters to injunction proceedings, civil penalties, and criminal penalties. From the article: Doctors, clinics and others promoting corrective eye surgery known as LASIK need to make sure their advertisements tell consumers about possible risks, U.S. regulators said in a letter released on Friday. The Food and Drug Administration, which has been investigating patient complaints over the procedure, told healthcare providers that commercials and other promotions that do not convey necessary warnings, side-effects and other precautions are deceptive... The letter comes more than a year after the FDA held a public meeting that drew dozens of unhappy patients who complained of blurriness, double-vision, depression and other problems after undergoing LASIK, or laser-assisted in-situ keratomileusis... If the FDA deems LASIK advertising misleading, it can issue warning letters as well as take stronger action such as imposing fines or making referrals for criminal investigation. From the article: FDA acting commissioner Joshua Sharfstein told FDA Webview 5/21 that he is looking into complaints of many LASIK (laser-assisted in situ keratomileusis) eye vision enhancement surgery patients that the agency has failed to honor its commitments to investigate their complaints since 2006 that the technique has unacceptable risks... They allege an effective FDA conspiracy with for-profit LASIK surgery surgeons in concealing true adverse event rates. Although [opaque bubble layer] only rarely impacts visual acuity at three months post-procedure, it is part of a growing number of "a new array of complications" with femtosecond lasers, which are used to bladelessly create corneal flaps preparatory to LASIK reshaping... On the LASIK issues, DeLancey said the agency had allowed a follow-up interview 5/14 by Consumer Reports with CDRH director of ophthalmic and ENT devices Malvina B. Eydelman. From the article: "Good morning. I'm Kwame Ulmer, Chief of the Diagnostic and Surgical Devices Branch, and this morning I'll be giving an update on activities in our branch. On April 25, 2008, FDA convened a Public Advisory Panel of outside experts to listen to patient experiences with LASIK and consider how to improve information for patients and physicians about LASIK. In response to the feedback, from public and LASIK experts, we've been working on several improvements in our communications with the public regarding LASIK-related safety issues..."
The center seems to have heightened its censorship and nondisclosure on LASIK devices. From the article:"...CDRH seems to be unintentionally weaving a very tangled web over its surveillance of LASIK (laser-assisted in situ keratomileusis) device effects... However, there has been so much dissatisfaction that, in April 2008, CDRH held a meeting of its Ophthalmic Devices Panel specifically to address patient experiences with LASIK surgery. This meeting is where the center’s web begins to get really tangled..."
From the new release: Reps. John D. Dingell (D-MI), Chairman of the Committee on Energy and Commerce, and Bart Stupak (D-MI), Chairman of the Subcommittee on Oversight and Investigations, today launched an investigation into whether managers within the Food and Drug Administration (FDA) Center for Devices and Radiological Health (CDRH) knowingly corrupted the scientific review process and approved or cleared medical device applications in gross violation of laws and regulations designed to assure the safety and effectiveness of medical devices. Such activity could allow potentially unsafe and ineffective medical devices into the U.S. market. The investigation was prompted by receipt of an October 14, 2008, letter written on behalf of a large group of CDRH scientists and physicians who state that CDRH managers have “corrupted and interfered with the scientific review of medical devices... In a letter sent today to FDA Commissioner Andrew C. von Eschenbach, Dingell and Stupak requested a briefing on what actions the Commissioner has taken to date and how the Commissioner intends to resolve all issues raised by the CDRH scientists and physicians." April 21, 2009 - The New York Times; Rare F.D.A. Meeting to Discuss Complaints on Device Approval. From the article: "In an extensive memorandum sent to Dr. Sharfstein last week, the dissident scientists charged that the “regulatory review process for medical devices has been severely distorted” and that those who raised concerns about unsafe devices had been retaliated against by agency managers." January 30, 2012 - The Washington Post; Lawsuit claims FDA monitored private email from whistleblower staffers. From the article: Current and former Food and Drug Administration officials say in a lawsuit that the agency secretly monitored their private email after they raised concerns that approved medical devices might risk public safety... The lawsuit says the plaintiffs were among those who complained in fall 2008 to members of the House Energy and Commerce Committee that senior managers at the Center for Devices and Radiological Health "ordered, intimidated, and coerced FDA experts to modify their scientific reviews, conclusions and recommendations in violation of the law." Then in January 2009, after Barack Obama's election but before he was sworn into office, nine FDA employees sent a letter to the Obama transition team complaining of corruption within the FDA device review process that they said was endangering public health. The FDA is re-examining LASIK safety and announced a new study on quality of life after LASIK to begin in 2009. In September, 2008 the FDA opened a public docket to receive comments on LASIK. Tell the FDA about your bad experience with LASIK. In May, 2008 a citizen petition was filed with the FDA to ban LASIK due to substantial deception in the labeling and an unreasonable and substantial risk of injury. In FDA clinical trials for LASIK, including newer LASIK technology, approximately 20% of patients experience complications that persist beyond six months after surgery. Based on these data, lasers failed to meet the FDA's safety requirements for approval. It appears that the FDA was negligent in its approval of LASIK devices, putting the interests of the ophthalmic industry ahead of its duty to protect the public health. In response to public outcry of widespread problems with LASIK, the FDA called a special hearing on 4/25/2008: Listen to testimony of LASIK patient, Matthew Kotosovolos. From the article: Patients and family members of patients who underwent laser surgery to improve their eyesight today described struggling with double vision, blurry vision and other complications at a hearing organized by the Food and Drug Administration to assess the scope of problems following the procedure... "Our sense is that most of the patients who are having the procedures are reasonably satisfied and are doing fairly well," Daniel G. Schultz, director of the FDA's Center for Devices and Radiological Health, told reporters during a telephone briefing yesterday. "But clearly there is a group that is not satisfied and do not get the kind of results that they expect. What we're really trying to do is figure out what that number is." 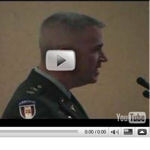 Did Army Surgeon, Scott Barnes, Give Misleading Testimony at the April, 2008 FDA Hearing on LASIK? "At Fort Bragg, North Carolina, the Army surgeons have moved to 100% surface ablation in the past 2 years; the five known traumatic flap dislocations (out of 2500 procedures) due to 'typical' soldier activities contributed to this change but not as much as an analysis of the visual outcomes. A review of the 28,000 procedures has shown that soldiers with PRK or LASEK have a 20% greater chance of achieving an uncorrected visual acuity of 20/15 or better than soldiers with a similar level of refractive error undergoing LASIK." From the article: "The Food and Drug Administration does very little to ensure the safety of the millions of people who participate in clinical trials, a federal investigator has found... In many ways, rats and mice get greater protection as research subjects in the United States than do humans,” said Arthur L. Caplan, chairman of the department of medical ethics at the University of Pennsylvania. " Do a search of the FDA database for reports of serious complications involving refractive surgery lasers and microkeratomes. Type LZS for lasers or HNO for microkeratomes in the product code field. For Intralase (Intra-LASIK, blade-free LASIK, all-laser LASIK) type "IntraLase" in the Brand Name field. Fill in a date range to customize your search. FDA has controls in place to guard against corruption by special interests or conflicts of interest. But the individuals who presumably have the expertise to conduct clinical trials and evaluate new technology have an interest in seeing it approved. The FDA relies on advisory committees to provide independent advice from outside experts on new medical devices that are under deliberation at FDA. Although the committee provides advice to the Agency, final decisions are made by FDA. The committee that reviews new devices for refractive surgery is the Ophthalmic Devices Panel. Some panel members are honest scientists with a dispassionate interest in honestly evaluating the potential of new devices to serve or harm the public. Other panel members appear to allow their financial interests in LASIK to cloud their judgment. The advisory committee meetings are open to the public. Transcripts of advisory committee meetings are published on the FDA website. Some interesting exchanges can be found in past FDA transcripts -- exchanges which foreshadowed problems.